Home / News / WHAT’S ON THIS WEEKEND? In addition to the Feast of Wills that runs until Sunday at Largo da Restauração, Sons and Flavors of Madeira in Santa Cruz and the dance piece ‘A Modern Perspective’, choreographed by Daniel Cardoso, with the group Quorum Ballet, at Baltazar Dias, the JM presents many other proposals to fill and satisfy your weekend. The Department of Tourism, Heritage and Environment of the Scientific Research Association of the Atlantic promotes a guided tour of the center of Funchal, traversing the heritage of this artistic style existing in the Madeiran capital. The meeting point is next to the statue of Gonçalves Zarco, being an activity destined not only to the members of AICA but all the public in general. Wind Quintet in the Assembly – 6:00 p.m. The ALM Noble Hall will be the venue for a chamber concert, where a diverse program focusing on the composers Ibert, Hindemith, Haydn and Piazzolla will be performed. ‘Affectionate Salobros’ in MUTIES – 6:00 p.m. The opening of the new exhibition of Carla Cabral takes place this Saturday in the gallery of the Museum of Contemporary Art of Madeira, in Calheta. In this exhibition, which can be visited until February, you can see 20 drawings that summarize the artist’s career in recent years. Black Dog Blues Band at BBC – 8:30 p.m. The blues band formed in São Paulo, Brazil, but with roots from Madeira, arrives at Largo do Socorro for a concert where there will be no shortage of songs in the blues parts of Mississipi, Chicago and California. Orchestra of Mandolins at the Casino – 9:00 p.m. The oldest and youngest mandolin orchestra in Europe will be on stage at the Casinos Center, where you can hear a peculiar interpretation of classical music pieces by composers such as Kètèlby, Vivaldi, Ponchieli, Strauss and more. The tickets have a unit cost of 20 euros. Roni de Melo at the Lighthouse of Delights – 9:30 p.m. 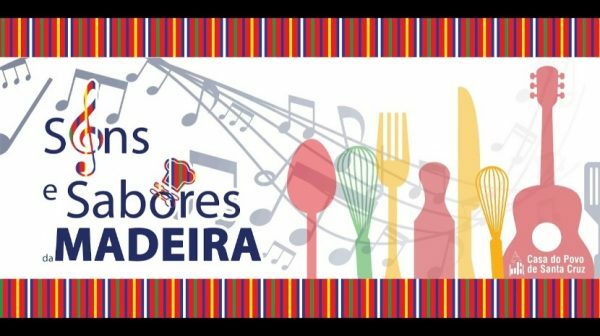 The singer who has a regular presence in the Madeiran villages, with their original songs and covers, will be in the restaurant of the Path of Santa Quitéria, in Santo António, for another night of celebration. The cherished Madeiran singer will be at Caniçal for a concert to take place in the Kbar lounge club. Also known as ‘the boy of the people’, the artist who has stepped on stages throughout the island and beyond, will liven up the audience with themes such as the latest hit ‘Tan Solita’. The opening of the photo exhibition in an ‘expo toilet’ format, which will show the most outstanding moments of the MadeiraDig music festival, to which seven photographers contributed, marks the beginning of this evening. Following is the projection of the videoarte ‘olhAR-TE SEMPRE, by Hernando Urrutia, a debut in Portugal. In the sound booth will be Rui Pedro and Hernandez. Comedy, dance and live music. Three forces that join in honor of Latin music, in the typically Mexican restaurant. The comedian and presenter Johnny Madeira is the first to enter the scene, following the pair Angel & Deisy, who will make a ‘show’ of salsa casino. Finally, the trio Triova Voices traverses the great successes of Latin music with a concert. DJ Luís Gonçalves returns to be in charge of the musical animation in the discotheque of the Casino. In the Garden, the ‘New Breed’ party will feature DJ Kaytana and Vitor Baptista. DJ Ruben Sousa, better known by Di Souza, takes over the controls of the music booth under the motto ‘Underline Pictures Man Bday Bash’. The party lasts until 4 in the morning. In Porto Santo, new talents are also discovered! Situated right in the center of the village, the Taskaki promotes a performance that lasts until 3 in the morning, with karaoke and more. The light is the nickname of the cathedral of the Madeiran night for this month, with another party taking place this Saturday. DJ Oxy and VJ Goldtrix host tonight, with free admission for all until 2am and drinks at reduced prices until 3am. The choir of the Artistic Education and Multimedia Services Directorate commemorates its anniversary with a concert where the repertoire will focus on sacred music, promising the listeners a morning full of emotion. Singing two and three voices, the 65 children promise to give voice to a positive message of love and peace.